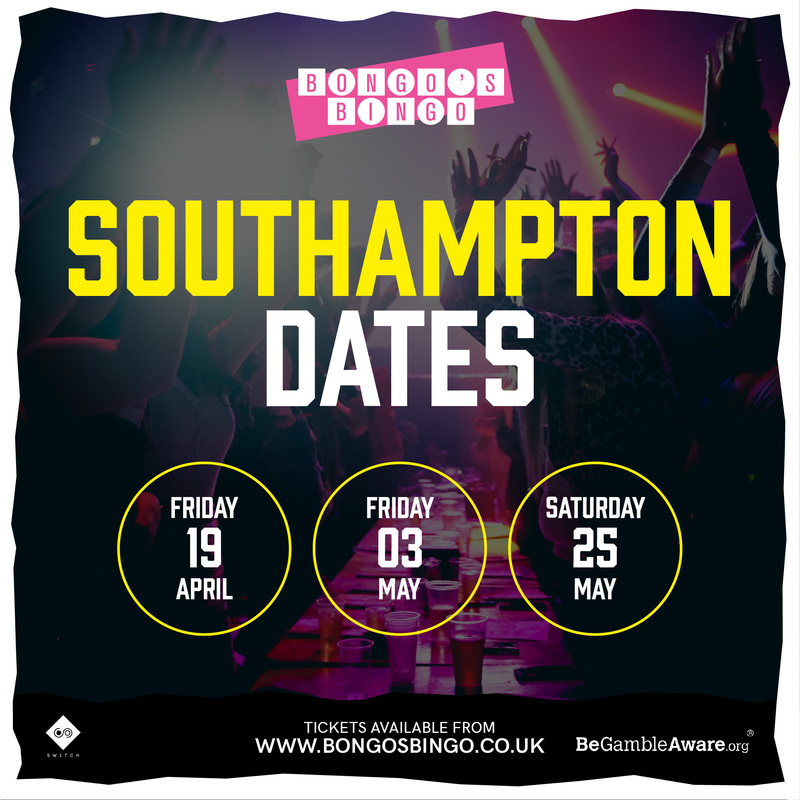 Bongos Bingo - 3 Southampton Dates Added! 3 MORE SOUTHAMPTON DATES NOW ON SALE! TICKETS AVAILABLE ON THE CALENDAR TO THE RIGHT! Big cash prizes, $hit prizes, awkward dance offs, rave intervals and much more! PLEASE SELECT AVAILABLE DATES FROM THE CALENDAR BELOW. IN ORDER TO RECEIVE ADVANCE TICKET WARNINGS PLEASE SIGN UP TO OUR MAILING LIST. IF YOU REQUIRE A DIFFERENT CITY, PLEASE SELECT FROM THE MENU BELOW. A participation/entrance fee is not charged if you wish to only play bingo, providing you have purchased your gambling stake prior to attending. Bingo only activities will be held in separate areas and whilst no participation/entrance fee will be required, only those individuals placing stakes will be permitted to play the bingo provided. For more T&Cs click the link below.